Dragan Lukač was born in 1968, in Krnjeuša, the municipality of Bosanski Petrovac. He finished primary school and Secondary Technical School in Bihać. In Banjaluka, he finished Higher School of the Interior, and then College of the Interior, as well as post-graduate studies and acquired the Master's degree in State Law science. Over the 29 years of work experience, he has worked on various posts at the Secretariat of the Interior of the Socialist Republic of Bosnia and Herzegovina (SI SRBiH), the Centre for Security Service (CSS) Sarajevo and CSS Bihać. 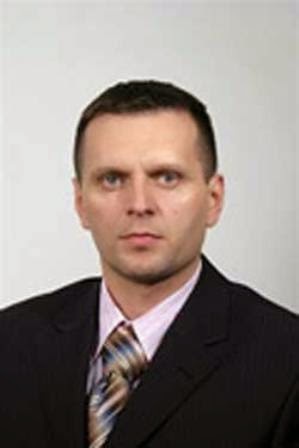 From 1992 to 2005, he worked on various posts at the Ministry of the Interior of the Republic of Srpska: from the post of a police officer to several managing positions. In 2005, he started working at Banja Luka City Administration, where remained until 2014. From 2015 to 2018, he performed the duties of the Minister of the Interior in the Republic of Srpska Government. During the war in 1990s, he was the commander of special police units, and was wounded on multiple occasions. He was decorated with the Medal of Miloš Obilić for Courage and the Order of Karađorđe's Star for successful command of units. Finally, he was promoted to the rank of the Colonel of the police. He is married and father of four children. His ethnic designation is Serb. Ms Dragica Đukić, was born on 23 October 1963 in Mraovo Polje, Kostajnica Municipality. Bachelor of Laws by profession, she has also passed the bar exam. Her first job was at the position of judge trainee at the Municipality Court in Hrvatska Kostajnica. She was employed with the Republic of Srpska Ministry of the Interior in 1993, and has since performed tasks at the following positions: inspector for countering juvenile delinquency and drug addiction, inspector for searching activities, crime police inspector at the Division for preventing general crime, head of Division for criminal intelligence analyses, deputy head of Crime Police Administration, head of the Inspectorate for revisions and inspections, head of the Inspectorate for standardisation of regulations and procedures and data protection, chief disciplinary prosecutor, member and then the President of the Police Board. 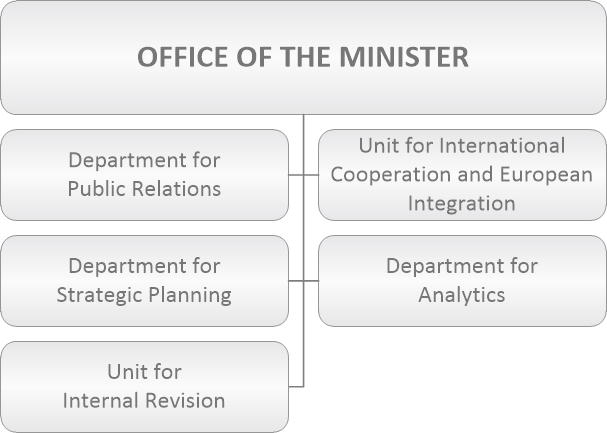 From 1 February 2019, she is performing the tasks of the Head of the Office of the Minister. She is married and has two children. Sanja Dragičević, was born in 1976 in Kotor, Montenegro. She graduated from the Faculty of Philology, University of Belgrade in 2000. 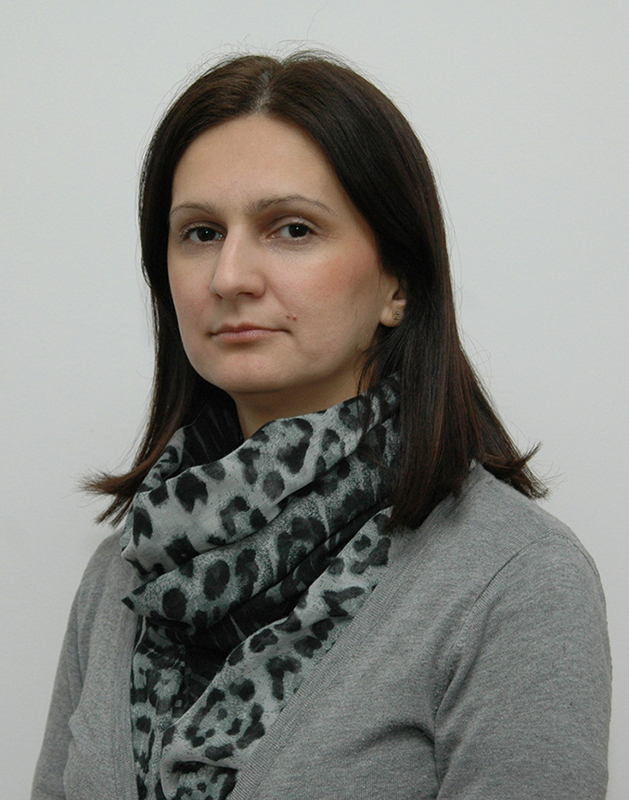 She has been working at the Ministry of the Interior of the Republic of Srpska since 2001. She worked at different positions within the Office of the Minister, and it is from the position of the Head of Department for European Integration that she was appointed Chief of the Cabinet of the Minister of the Interior in January 2015. 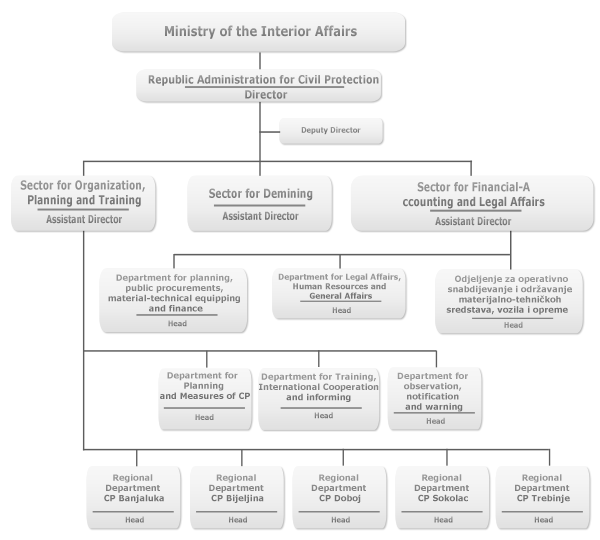 Organizes activities of the Cabinet, directly performs administrative tasks and undertakes protocol activities for the Minister, receives information and cooperates with other bodies of the republic administration, coordinates activities and organizes the schedule for meetings the Minister is invited to attend, prepares official correspondence documents by the order of the Minister, makes sure that the duties of the Minister are fulfilled timely and in accordance with law, and performs other activities by the order of the Minister. The Chief coordinates the activities and cooperation of the Minister with bodies and institutions of the Republic of Srpska, Bosnia and Herzegovina, other countries and international organizations which the Ministry is a part of. The Chief reports directly to the Minister about their work. The Chief's engagement lasts as long as the Minister's mandate. Ms. Divna Lovrić-Bojanić, was born in Banja Luka. Upon graduating from the Military Technology Faculty in Zagreb, the narrow scientific field of rocket technology, she became electronics engineer. Her first job was with the aviation institute ‘Kosmos’, in the Sector for research and development. 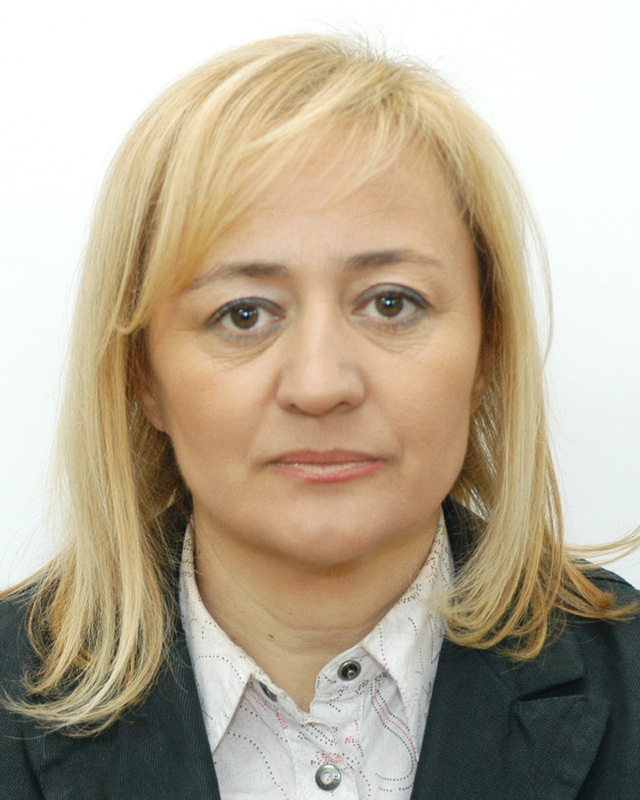 She has been employed with the Ministry of the Interior of the Republic of Srpska since 1999, and she has performed tasks in the following positions: from 1 April 1999 – designer of IT systems, from 1 September 2002 – chief engineer for computer networks, from 1 August 2005 – Deputy to the Head of the Administration. She has been performing duties of the Head of the Administration since 1 February 2002. 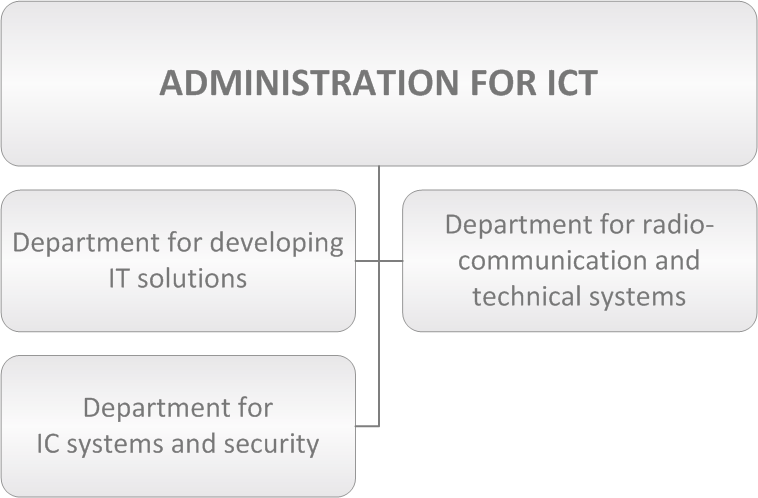 UICT Administration plans, organizes, realizes and supervises activities in the field of information-communication technologies at the Ministry of the Interior of the Republic of Srpska through making projects, implementing and administrating the integrated system of information and communication of the Ministry. 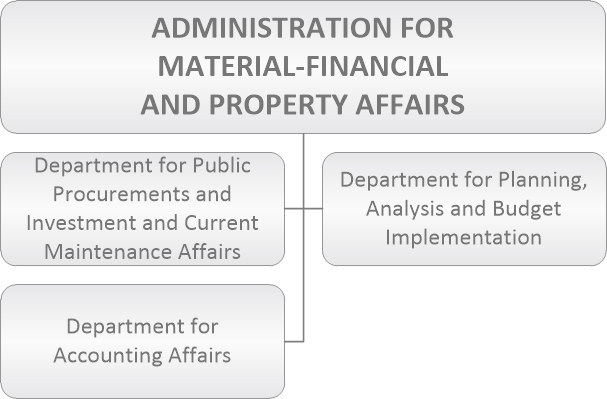 The Administration designs the Security plan for the information and communication system of the Ministry, in accordance with the Law on Information Security and bylaws, Law on protection of personal data of Bosnia and Herzegovina, Law on protection of Secret data of Bosnia and Herzegovina; creates Security policy for the information and communication(IC) system of the Ministry; follows regulations and proposes normative regulations from the field of ICT. 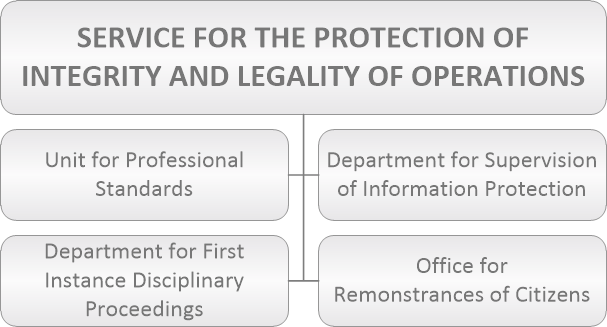 The Administration manages activities related to the improvement and protection system development for IC systems, plans and introduces appropriate technologies and procedures and defines data protection mechanisms. It determines and organizes the unique functional system for electronic processing, transfer, cryptographic protection and classified data exchange within the Ministry and is dedicated to its maintenance and functioning. 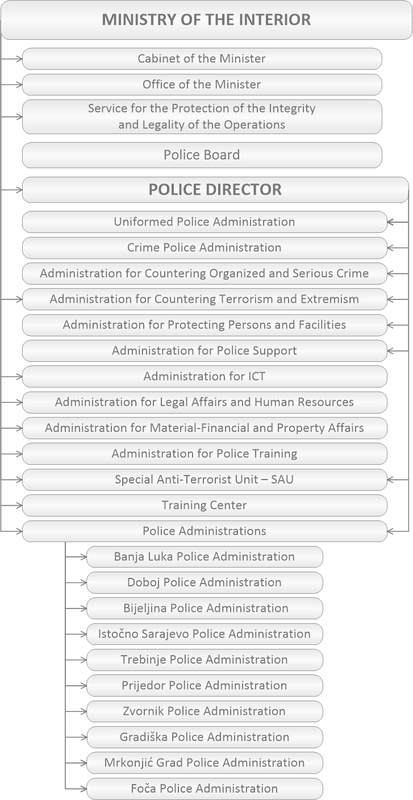 It coordinates the activities in the field of ICT application with organizational units of the Ministry at the headquarters and public security center and instructs and supervises the activities of internal organizational units in accordance with the line of work of the Administration. 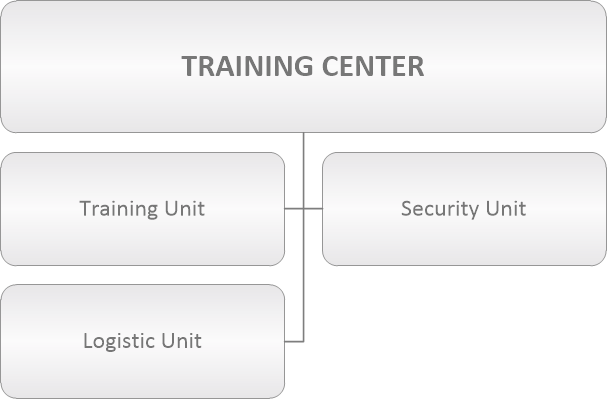 It suggests and organizes expert and specialist trainings and other ways of training for the employees. Ms. Ljiljana Šestić, was born on 2 February 1959 in Gradiška, Bosnia and Herzegovina. She finished high-school in Banja Luka in 1976, and graduated at the Faculty of Law in Banj Luka in 1980. 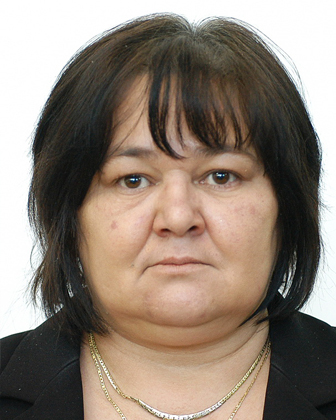 She started working at the Ministry of the Interior on 11 July 1994 and has performed tasks on the following positions: at PSC Banja Luka, she worked as administrative officer for employment relations until May 1997; head of Department for admistration and legal affairs until 22 September 1998; head of Department for legal affairs and human resources until 11 March 2001; secretary at the Cabinet of the Minister until 22 March 2006; head of Department for legal affairs; deputy to the head of Administration for legal affairs and human resources. 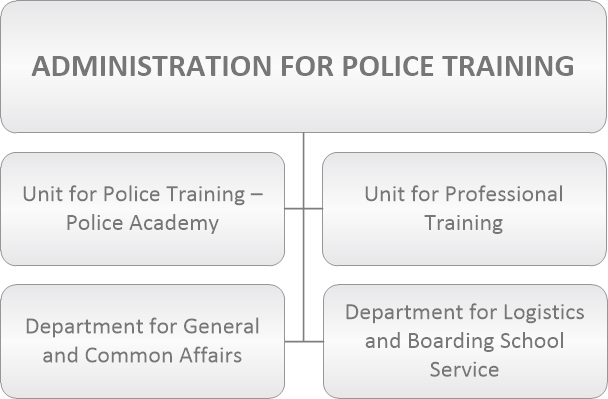 She started performing duties of the head of the Administration on 22 April 2015.
to provide primary health care for the employees, students of the Police Academy, as well as participants of the courses and seminars. Ms. Branka Savić was born on 7 May 1963 in Banja Luka, where she finished primary and secondary school. She graduated from the Faculty of Economics in Banja Luka. In Belgrade, Serbia, she completed her post-graduate studies and defended her doctoral thesis thus becoming a PhD in Economics. 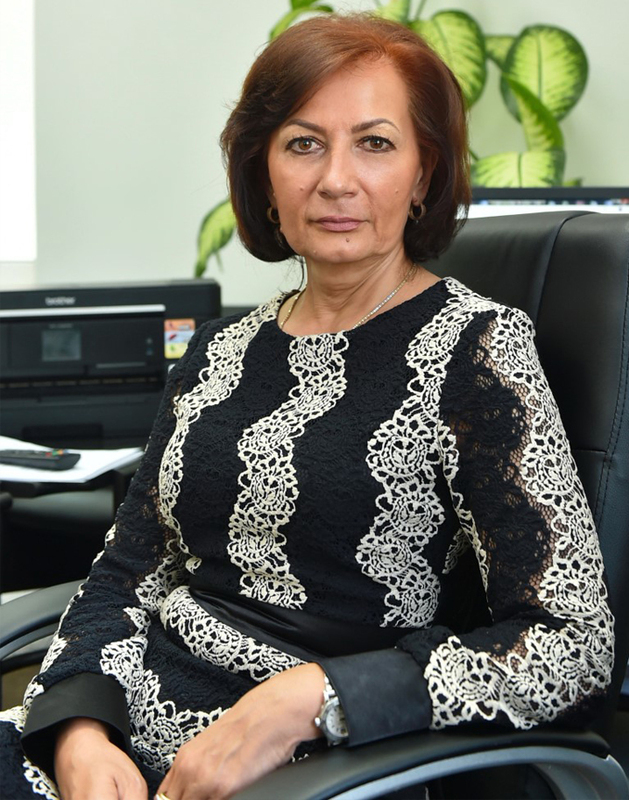 During the previous period, Ms. Savić performed tasks on the following positions: from 1986 to 2000, she worked as chief of accounting, chief of financial operations and head of the Sector for Finance at ‘Kosmos’ J.S.C. 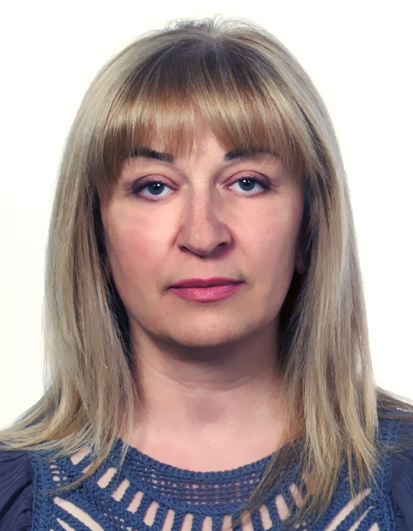 ; from 2000 to 2005 she worked as head of Finance department at the Pension and Disability Insurance Fund of the Republic of Srpska; from 2005, she was the coordinator for introducing treasury operations in the City of Banja Luka, and then the chief for budget implementation; from 2008, she worked as internal auditor for the City of Banja Luka and all its budget beneficiaries, and then as the manager of the Department for performing internal audits at the Administration of the City of Banja Luka. On 1 May 2015, she started performing tasks of the Head of the Administration for material-financial and property affairs at the Republic of Srpska Ministry of the Interior. Bulevar Desanke Maksimović Street 4, 78000 Banja Luka. 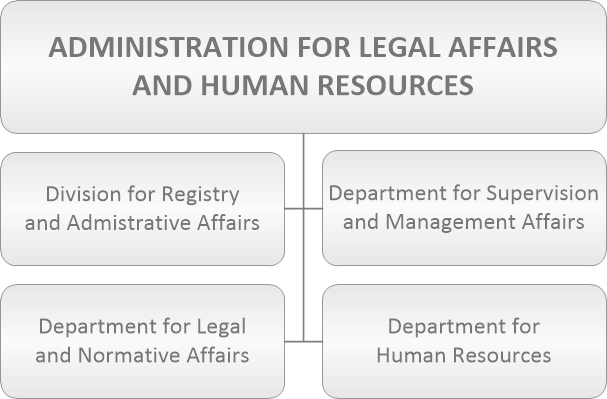 to cooperate with the corresponding bodies and organizations of the Republic, business banks, property and persons insurance communities, and other institutions related to performing activities and tasks in the work domain of the Ministry. 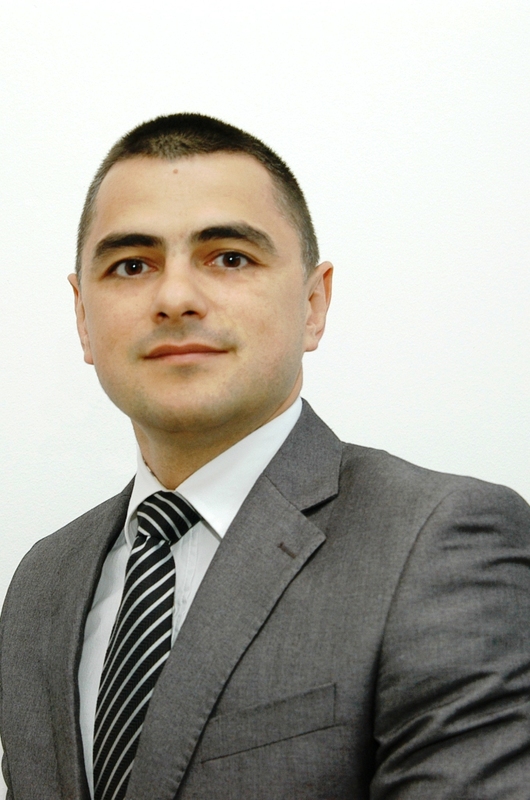 Mr. Mile Šikman, PhD, was born on 16 July 1979 in the town of Jajce, Bosnia and Herzegovina. He graduated from the Police Academy in Belgrade, Serbia, in 2002, as the best student in the class. In addition, he obtained an MA in Security sciences and a PhD in legal sciences. He has been employed at the Ministry of the Interior since 1998. He has been performing tasks as the Head of Administration for Police Education since 15 February 2009.
to conduct trainings for the members of physical and technical security. Republic Administration for Civil Protection used to be a part of the Ministry of Defence of the Republic of Srpska until 1997. The same year, the Law on Civil Protection in the Republic of Srpska was passed. The Republic Administration for Civil Protection became a part of the Ministry of the Interior of the Republic of Srpska on 1 January 2009. The essence of the activities of the Republic Administration for Civil Protection is raising the efficiency level of civil protection system of the Republic of Srpska, that is, increasing the ability of the system to resist natural and other disasters primarily through prevention and efficient operational activities in case of natural or other disasters. The headquarters of the Republic Administration for Civil Protection are in Istočno Sarajevo. - to cooperate with competent bodies of other police agencies in BIH, other states, regional and international police organisations. Mladen Marić was born on June 12, 1979 in Prnjavor. He completed Police College (secondary education) in 1998, and graduated from the Police Academy in Belgrade in 2002. He obtained his masters’ degree in 2014 at the Faculty of Law in Belgrade. He started his employment with the RS Ministry of the Interior in 1998 as a trainee in PSS Prnjavor. During his work experience, he carried out the duties of the inspector for traffic security, police inspector, inspector, deputy commander, he was the Commander of the Police Station for Traffic Security Banja Luka from 2006 to 2010, when he started working as the Head of Department for Traffic Security, and from the end of 2011 he worked as the Head of the Unit for Traffic Security. 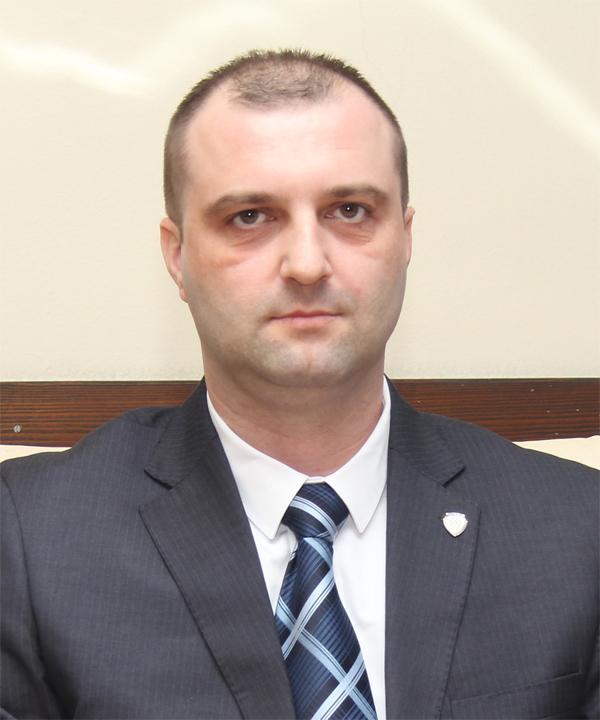 In 2012 he started working as the Head of the Public Security Centre Banja Luka. He has been working as the Deputy Head of Uniformed Police Administration, when in March 2018 he took over the duties of the Head of Training Centre. -	to keep the necessary records.